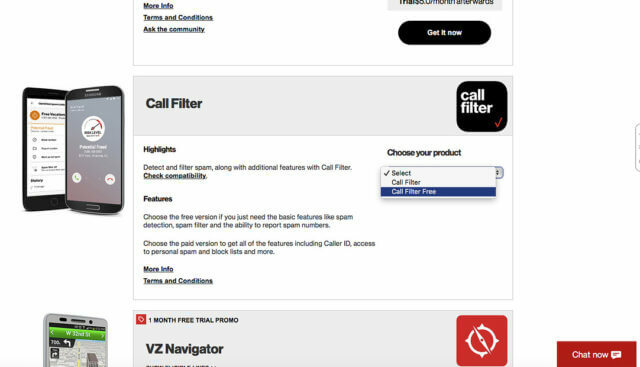 Verizon is now offering free call filtering, but enabling it can be incredibly frustrating! Many reviews complain that, after downloading the Verizon Call Filter app, no option for the free version appears. Instead, you are only offered a free 10-day trial or the option to purchase a monthly subscription. I found these instructions buried in a comment on the wonderful TidBITS website, posted by Paul7. I have cleaned up Paul’s explanation and added a couple of screen shots, but Paul deserves full credit for this solution. 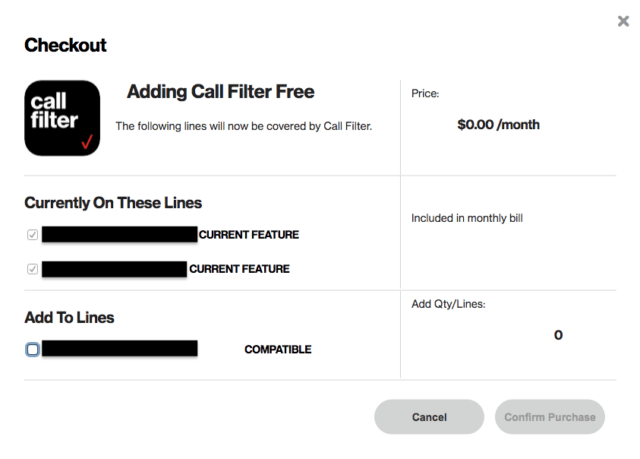 The crucial step omitted from Verizon’s incredibly brief explanation of how to activate free call filtering is that if simply enrolling via the Call Filter App doesn’t work, you need to log in to My Verizon. Here’s what to do. 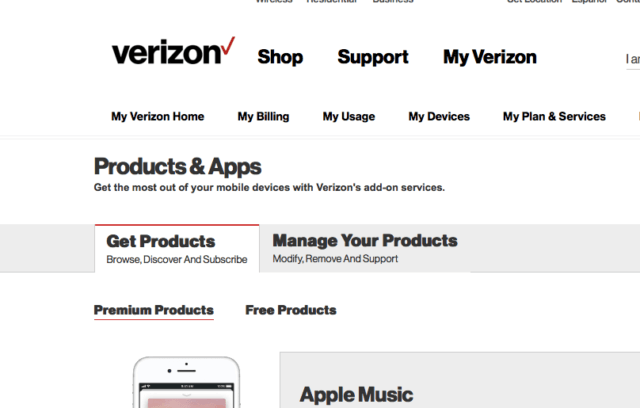 Sign in to your Verizon account. Go to My Plans & Services and select Manage Products & Apps. Or your menu might look like the image below, in which case go to Plan and select Add-ons and apps. Click on the Get Products tab and the Premium Products option. Scroll down till you find the Call Filter app and select the Call Filter Free option. You’ll see a Checkout box where you can add Call Filter Free to the lines in your plan. Select the checkboxes next to the lines you want, and click Confirm Purchase. On your phone, close the Verizon Call Filter app if it’s currently open. Now, when you reopen it you’ll see that free call filtering has been turned on! Paul notes that if you have more than two lines, you may have to go through this process multiple times since it only shows two lines at a time. 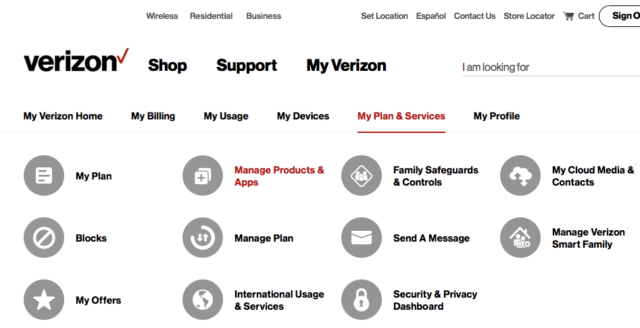 Alternately, your My Verizon may offer this process for each device/line separately. If that’s the case, select each device in turn and repeat the above process. Finally, follow the steps in Josh Center‘s helpful TidBITS article to enable Verizon Call Filter’s spam filtering. That’s it! Did this work for you? Do you have comments/additions/corrections? Please share them in the comments below.